Tumor hypoxia promotes metastasis and resistance to radiotherapy in prostate cancer. An imaging method to assess hypoxia at diagnosis can help to select patients for intensified treatment and avoid overtreatment of indolent, low-risk disease; but has not been successfully developed for this disease. In this paper, postdocTord Hompland in Heidi Lyng's group at Department of Radiation Biology and his co-workers present a novel method to visualize hypoxia based on diagnostic, multiparametric diffusion weighted MR images (DW-MRI). 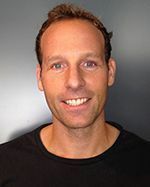 The work is part of an ongoing collaboration between the group and the FuncProst research team, headed by Therese Seierstad and Knut Håkon Hole at Division of Radiology and Nuclear Medicine at OUS. The method can easily be translated into clinical practice, and a large scale, prospective evaluation of the method is planned for prostate cancer. Tord and his co-workers combined images related to oxygen consumption and supply into a single hypoxia image. The image integration algorithm was developed in prostate cancer patients recruited to the FuncProst protocol, who receive a hypoxia marker prior to prostatectomy.This powerful protocol enabled matched comparison of hypoxia staining in whole-mount sections with imaging and tumor biology data, and thereby calibration and validation of the new imaging approach. 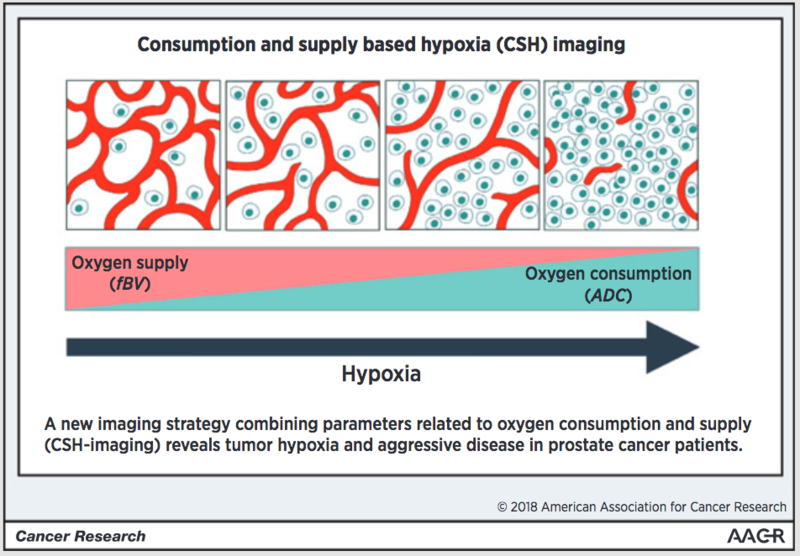 The potential of the hypoxia images in treatment decision was further illustrated by showing strong associations between the tumor phenotype visualized in the images and post-surgical clinicopathological markers. Combined MR imaging of oxygen consumption and supply reveals tumor hypoxia and aggressiveness in prostate cancer patients. Hompland T, Hole KH, Ragnum HB, Aarnes EK, Vlatkovic L, Lie AK, Patzke S, Brennhovd B, Seierstad T, Lyng H.
Cancer Res. 2018 Jun 26. doi: 10.1158/0008-5472.CAN-17-3806.